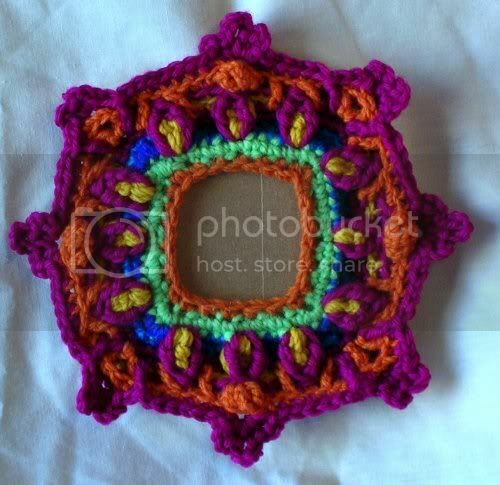 I designed this overlay crochet picture frame. I LOVE overlay crochet! I can use this technique for my freeform work.